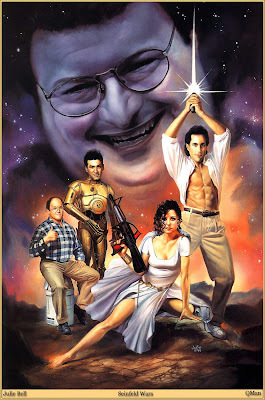 Brief and to the Point: Seinfeld Wars - Very Cool Artwork! Seinfeld Wars - Very Cool Artwork! A very cool artwork on Seinfeld Comedy Show! Just click on the image to enlarge it! Guitar Hero? Check this out! How Did Elvis Presley Get Turned Into a Racist?